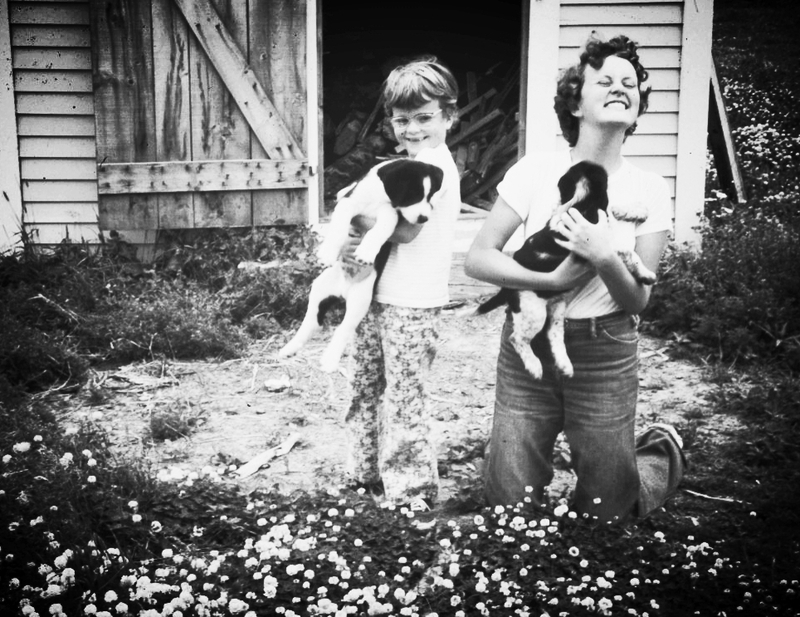 WHO WE ARE — New Cottage Industries & Co.
Valerie and Sharon, on a childhood summer vacation, clearly showing an early (and lifelong) enthusiasm for dogs. We co-founded New Cottage Industries & Co. Inc. following global careers that eventually lead us both back to make our homes in Calgary, Canada. Calgary is a dynamic and growing city of about 1.3 million people, rising from the Alberta prairies, less than an hour from Banff and the Rocky Mountains. Our family business works with global clients every day. We'd love to meet you. Specializing in leadership, performance excellence and technology. Valerie McIntyre-Baird (BAM, CEC) is a senior international leadership strategist, executive coach and trainer with over 20 years of experience leading teams to reach their potential in the energy and technology industries. Valerie also works with leaders and teams in not-for-profit organizations to enhance their operational excellence and community impact. Valerie's unique expertise lies in galvanizing groups of people into high performance teams; whether for multinational corporations spread across 5 continents, or helping startups to scale with excellence. She has held C-level roles which include being a CIO, a Global Services Manager for all corporate Functions, a Global Technology Portfolio Manager and a Senior Business Development Manager – all for Fortune 500 companies. Valerie has led an expert UK software development group to commercial software productization; guided a team of employees and contractors in Africa to deep-water first oil; transformed the planning and forecasting process for a North American energy leader; and developed 100+ leaders in an African national energy company in the areas of leadership and innovation. With a unique passion for people and technology, her deep experience and fluency in both domains has yielded extraordinary bottom line impact in the businesses she has helped to grow. Her motivational leadership style develops technical expertise while creating a legacy of emerging leaders in every group she guides. Specializing in innovation and technology commercialization. Dr. Sharon M. McIntyre (M.Ed, DSocSci) has shared her passion for creativity, innovation, marketing and branding with global corporations, start-up enterprises, public sector organizations, and students for 25+ years. She has held senior leadership positions and consulted in a variety of domains including software, telecommunications, government, housing, publishing, and the arts – with extensive experience in energy industry technology commercialization including her previous role as Senior Marketing Advisor for the global software division of Schlumberger. Today, as co-founder of New Cottage Industries, a creativity and innovation consultancy, Sharon is working at the intersection of innovation, values and culture. In the role of Chief Social Scientist, she consults to the leadership team at Chaordix, an Alberta-based crowdsourcing technology and methodology pioneer in the global brand and product innovation space. Sharon also provides technology marketing and frugal innovation consulting services to the national electrical utility company of Cameroon in Central-West Africa. She has deep experience in developing and delivering education programs in strategic marketing and entrepreneurial innovation at universities and industry workshops. Dr. McIntyre's research has articulated a new model of entrepreneurial innovation in Canada and recommended program and policy and changes. She is a member of the Alberta Government's Talent Advisory Council on Technology, and she is an Innovator in Residence at Mount Royal University’s Trico Changemakers Studio. Sharon has lived and worked internationally, communicates in English and French, and holds dual Canadian and Irish (EU) citizenship. She contributes online as @shazzmack.